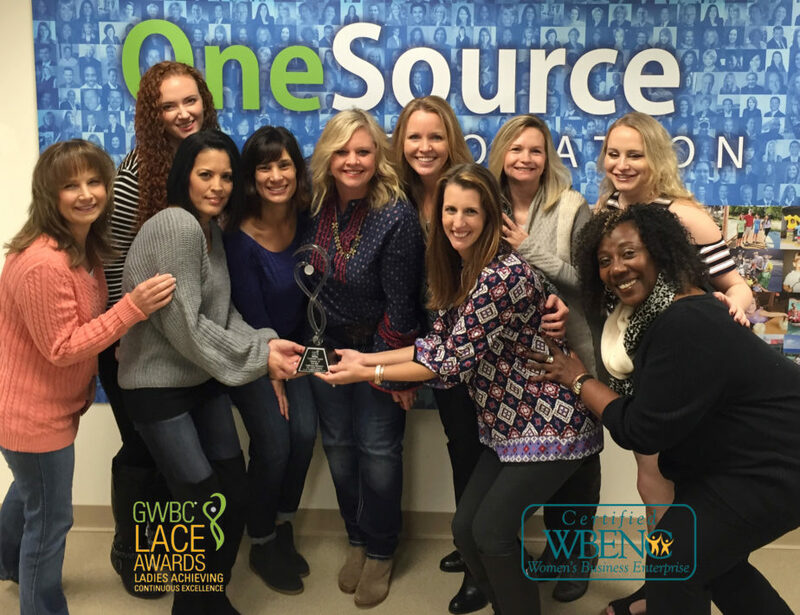 OneSource Relocation was thrilled to receive the 2017 Trailblazer Award during the Greater Women’s Business Council LACE (Ladies Achieving Continuous Excellence) Awards last night in Atlanta for its category, companies of $10 million in revenue and higher. The award is given to organizations that exemplify and embrace the vision and mission of GWBC and are best in class for inspiring, engaging and empowering women-owned businesses. As a Women’s Business Enterprise National Council-certified organization, OneSource is proud to continue the conversation of diversity- and women-owned enterprises contributing to the fabric of American business through financial value, varying perspectives, strong entrepreneurship and enthusiastic collaboration.